hello monday! i hope everybody had a lovely weekend. i'm looking forward to this week. on friday, i'm invited to a knitting (and sewing, but i'll stick with the knitters) night. so on the weekend, i made a few polymer clay tabs/pendants to give as gifts to my knitting friends. i just cut these out as i would cookies, and when they came out of the oven, i drew a yarn ball and some needles onto them with a sharpie. i think they're cute as a small gift or to add as a tag to a bigger gift. 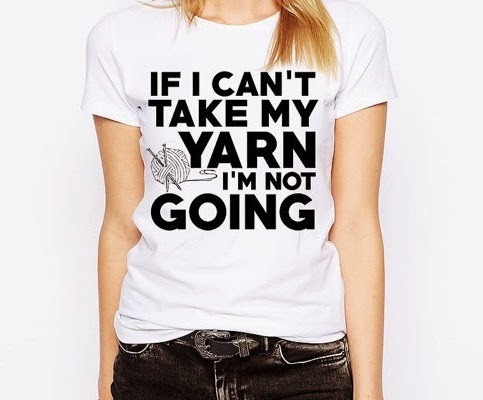 makes me think we should get some knitting/yarn related items into our artsy ants shop, don't you? 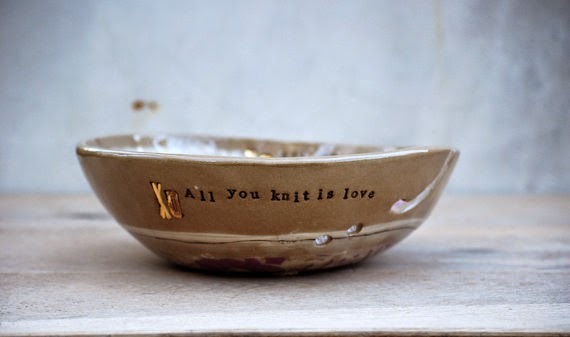 i never use a yarn bowl, it's just one other item on the table that might get knocked down and broken. but this one is really pretty, love the message especially. 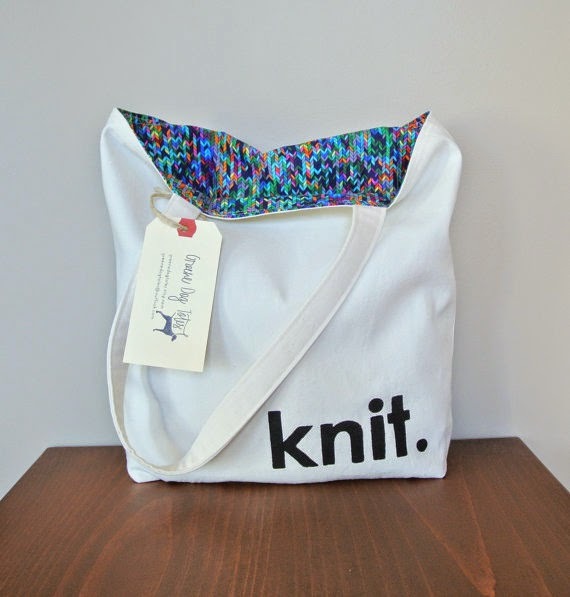 here is a knitting tote by greenedogtotes with a clear and simple statement. and i need this t-shirt! 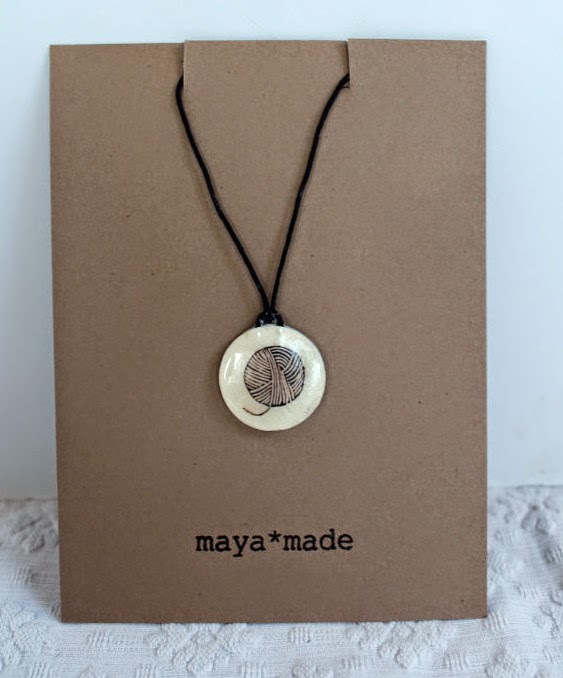 Love the pendants, such a great idea! What lovely things you found on Etsy too. Enjoy your week and your knitting night. i've never seen a bowl large enough for my yarn balls lol. but i do love the one you've listed, including the message.